Lock in a great price for Mamilla Hotel - The Leading Hotels of the World – rated 8.9 by recent guests! Great location to the Old City. The buffet breakfast was amazing. Everyone was very friendly. The hotel is modern style, very well designed. Facilities are very good. Location is excellent for tourism (5 minutes walk to the Jaffa entrance to the Old City). We only had breakfast at the hotel, and was superb. It's a real 5 star hotel. 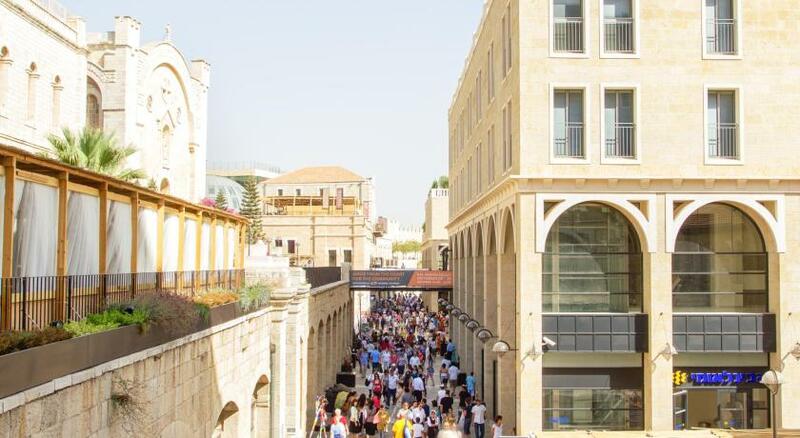 Mamilla Hotel - The Leading Hotels of the World This rating is a reflection of how the property compares to the industry standard when it comes to price, facilities and services available. It's based on a self-evaluation by the property. Use this rating to help choose your stay! 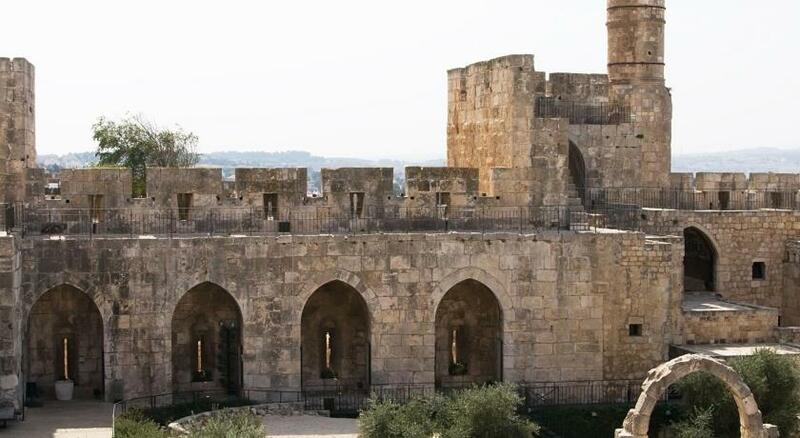 Mammilla Hotel - The Leading Hotels of the World features a panoramic rooftop terrace overlooking Jerusalem's Old City. This stylish hotel was designed by architect Piero Lissoni and is 10 minutes’ walk from Jaffa Gate. The hotel offers a choice of restaurants, including the trendy Mirror Bar with live music and the seasonal brasserie with city views. Mammilla Café restaurant serves local specialties. Rooms at Hotel Mammilla are equipped with LCD TV, pure Egyptian cotton bed linen and modern-style décor. Some bathrooms feature a transparent glass wall that can be switched on and off. The modern Akasha Wellness Center includes a spa and an indoor swimming pool. A sauna, fitness room and massages are also available on site. 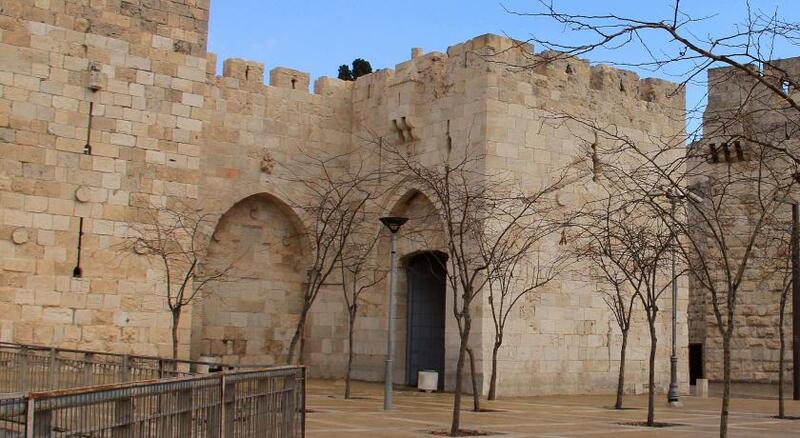 Set within the Mammilla shopping area, the property is a 20-minute walk from the Western Wall, while the Church of the Holy Sepulcher is 2,450 feet away. Ben Gurion Airport is 30 mi from the Mammilla Hotel. When would you like to stay at Mamilla Hotel - The Leading Hotels of the World? Stylish studio with minibar and cable TV. The bathroom features a bathtub and a glass wall. Large room with custom-designed sofa. Large room. Child must be 18 or under. No cribs. Independent studios with connecting door. Spacious suite with a separate living area, 2 LCD TVs. Children must be 18 or under. Designed in collaboration with Alrov Luxury Hotels vision and commitment to excellence and execution, and in partnership with world-renowned architects Moshe Safdie and Piero Lissoni, the Mamilla Hotel incorporates contemporary comforts and distinctive furnishings to create a unique ambience that both stimulates the senses and relaxes your body and soul. World Class Facilities Featuring exceptional rooms, exclusive restaurant and bar venues and incomparable service. From the magnificent views of the Rooftop outdoor lounge & restaurant, through the shimmering ambience of the Mirror Bar, to the immersion of the Holistic Wellbeing Center, Mamilla Hotel in Jerusalem is ushering in a new era of luxury lifestyle hospitality. Music is the universal language of mankind and Mamilla Hotel takes great pride in presenting a variety of music playing throughout the hotel and its exclusive venues. Music is one of the best ways to enjoy the present. House Rules Mamilla Hotel - The Leading Hotels of the World takes special requests – add in the next step! Mamilla Hotel - The Leading Hotels of the World accepts these cards and reserves the right to temporarily hold an amount prior to arrival. Please note that the spa is closed from 6 until 27 January 2018. Great location. Modern, contemporary bedroom and comfortable lobby area. Our only disappointment was the tour company used by the hotel. We had booked a day tour one day that the tour company completely messed up (the guide was a no show and the driver put us in taxis into Palestine). We canceled the first part of the tour and the afternoon we did finish but also not great. The tour company finally apologized, after yelling at my husband on the phone and telling us we should wait at Jericho for an hour and the guide would come. They refunded half the day and gave us a free tour the next day of Jerusalem. We were glad the next day was free as we felt like our tour guide left much to be desired. Overall, neither day was what we would have expected for the price and from a 5star hotel. My advice would be to book your tour separately. Beautiful hotel in a great location! The rooms were comfortable with great bathrooms and everything you would expect from a 5 star hotel. We had lounge access which was also very nice. The breakfast was fantastic with many options. We ate dinner in the hotel a couple nights as well. They hotel clearly has high standards for quality of food as everything we ate was very really good. The pool on the ground level was really nice for the kids after long days of sightseeing. The concierge was great and very helpful. The rooftop restaurant, wow!! Very small room, no view at all, complicate lighting, lobby very dark , staff at bar at the lobby not nice , they didn’t want to give me a glass of water . Super design hotel with fantastic location next to the old city. Recommend the Roof Top restaurant. We asked the hotel to arrange a couple of tours. For the high price, we expected (and were promised) official guides throughout. We got only unofficial guides, and on one occasion, no guide. Expresso coffee had a sour taste. Breakfast was excellent, and very good selection. The Rooftop restaurant was very good indeed and the location wonderful. The swimming pool is marvellous as are all the facilities at the pool. Great location combined with excellent facilities and helpful staff particularly Stephane on the desk who couldn’t have been more helpful.